Natural Blend-70 has a 70 ounce face weight, and the blade height is 1 5/8” in height. 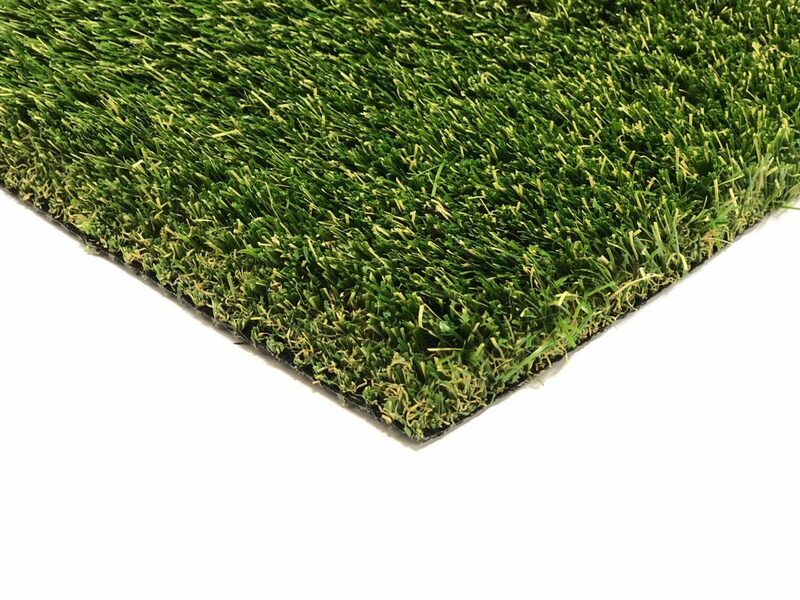 The Natural Blend Turf multi-color grass offers an ultra-realistic look with its beautiful palette of Beige, Field Green and Emerald Green fibers and brown/ green thatching. The engineered Diamond Blade allows multi-directional movement and improves resilience. If you own a home, you probably have a good idea of what your dream lawn would look like. Sadly, turning that dream into a reality is rarely easy. Constant lawn care is expensive. Harsh weather can ruin the yard overnight. If drought strikes, your lawn will turn bare and dry. That’s why Natural Blend-70 is a great option for homeowners looking to boost the curb appeal of their yards. The blades boast field green, olive green, and beige colors, while the thatch is beige/green; in other words, this turf looks just like a natural grass lawn. The blade height will remain at 1 5/8” no matter what. Instead of worrying about mowing and watering your lawn all the time, switch to a surface that lets you actually enjoy it. Even if harsh weather does strike, the durable blades will withstand it and the yard will drain quickly. Although this artificial grass is designed for residential use, commercial property owners looking to reduce lawn upkeep costs could also benefit from making the switch. The property will always look nice and professional, with very little need for maintenance.